Come join us on the beautiful white sandy shore of the Chesapeake bay. 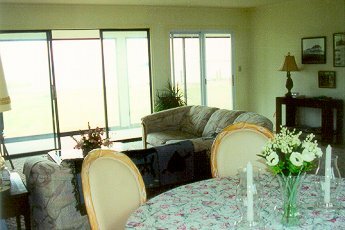 We feature three direct waterfront rooms. 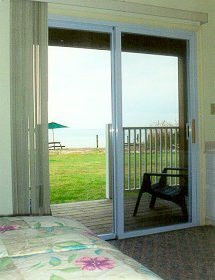 Each room has its own in room private bath and sliding glass door accessing our deck overlooking the Chester river and Chesapeake bay beyond. A fully stocked kitchen facility is available for your continental plus breakfast along with our common area including a television and telephone. We are surrounded by water, the river to our north, a full service marina just across the street to our south. 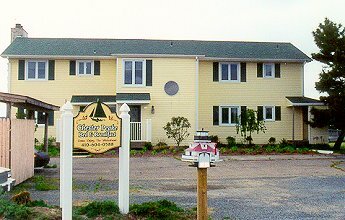 The queen Anne's county exploration center, the fishing pier, boat launching area, boat rentals and charter, casual and fine dining restaurants are just a short walk away up the hiker/biker trail. Historic Annapolis and the U.S. Naval academy is just 14 miles to the west. Rate: $125.00 a night plus tax.